Match ends, Lokomotiv Moscow 1, Besiktas 1. Second Half ends, Lokomotiv Moscow 1, Besiktas 1. Attempt saved. Oguzhan Ozyakup (Besiktas) right footed shot from outside the box is saved in the top centre of the goal. Oguzhan Ozyakup (Besiktas) wins a free kick in the attacking half. Foul by Delvin N'Dinga (Lokomotiv Moscow). Corner, Besiktas. Conceded by Alan Kasaev. Attempt blocked. Kerim Frei (Besiktas) right footed shot from outside the box is blocked. Assisted by Oguzhan Ozyakup. Attempt missed. Cenk Tosun (Besiktas) header from the centre of the box is high and wide to the right. Assisted by Andreas Beck with a cross. Attempt missed. Vitaliy Denisov (Lokomotiv Moscow) left footed shot from outside the box is high and wide to the left. Assisted by Aleksandr Kolomejtsev. Foul by Mario Gomez (Besiktas). Aleksandr Samedov (Lokomotiv Moscow) wins a free kick in the defensive half. Substitution, Lokomotiv Moscow. Maksim Grigoriev replaces Oumar Niasse. Attempt missed. Cenk Tosun (Besiktas) left footed shot from the left side of the box misses to the left. Assisted by Ismail Köybasi. Mario Gomez (Besiktas) is shown the yellow card. Substitution, Lokomotiv Moscow. Alan Kasaev replaces Maicón. Attempt missed. Ricardo Quaresma (Besiktas) right footed shot from the right side of the box is high and wide to the right. Assisted by Mario Gomez. Attempt saved. Aleksandr Samedov (Lokomotiv Moscow) right footed shot from outside the box is saved in the top centre of the goal. Oumar Niasse (Lokomotiv Moscow) wins a free kick in the attacking half. Ersan Gülüm (Besiktas) wins a free kick in the defensive half. Foul by Oumar Niasse (Lokomotiv Moscow). Substitution, Lokomotiv Moscow. Jan Durica replaces Manuel Fernandes. Foul by Ersan Gülüm (Besiktas). Oumar Niasse (Lokomotiv Moscow) wins a free kick in the defensive half. Manuel Fernandes (Lokomotiv Moscow) wins a free kick in the defensive half. Guilherme (Lokomotiv Moscow) is shown the yellow card. Aleksandr Samedov (Lokomotiv Moscow) is shown the yellow card. Oumar Niasse (Lokomotiv Moscow) is shown the yellow card. Oguzhan Ozyakup (Besiktas) is shown the yellow card. Vedran Corluka (Lokomotiv Moscow) is shown the red card for violent conduct. Cenk Tosun (Besiktas) wins a free kick in the defensive half. Foul by Aleksandr Kolomejtsev (Lokomotiv Moscow). Manuel Fernandes (Lokomotiv Moscow) wins a free kick in the attacking half. Substitution, Besiktas. Cenk Tosun replaces Gökhan Töre. Goal! 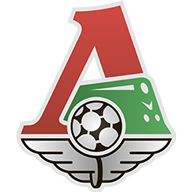 Lokomotiv Moscow 1, Besiktas 1. Mario Gomez (Besiktas) left footed shot from outside the box to the bottom right corner. Assisted by Oguzhan Ozyakup. Ismail Köybasi (Besiktas) is shown the yellow card for a bad foul. Foul by Ismail Köybasi (Besiktas). Offside, Lokomotiv Moscow. Manuel Fernandes tries a through ball, but Aleksandr Samedov is caught offside. Attempt missed. Maicón (Lokomotiv Moscow) left footed shot from the centre of the box is too high. Attempt saved. Aleksandr Samedov (Lokomotiv Moscow) right footed shot from outside the box is saved in the top centre of the goal. Assisted by Oumar Niasse. Attempt missed. Oguzhan Ozyakup (Besiktas) right footed shot from long range on the left is too high. Assisted by Ismail Köybasi. Substitution, Besiktas. Necip Uysal replaces José Sosa. Goal! Lokomotiv Moscow 1, Besiktas 0. Maicón (Lokomotiv Moscow) left footed shot from the centre of the box to the centre of the goal. Assisted by Oumar Niasse. Attempt missed. Oumar Niasse (Lokomotiv Moscow) right footed shot from the left side of the box misses to the right. Corner, Lokomotiv Moscow. Conceded by Oguzhan Ozyakup. Attempt saved. Aleksandr Samedov (Lokomotiv Moscow) left footed shot from outside the box is saved in the top left corner. Assisted by Delvin N'Dinga with a headed pass. Attempt missed. Oumar Niasse (Lokomotiv Moscow) right footed shot from the centre of the box misses to the right following a corner. Attempt blocked. Oumar Niasse (Lokomotiv Moscow) left footed shot from the centre of the box is blocked. Assisted by Delvin N'Dinga with a headed pass. Corner, Lokomotiv Moscow. Conceded by Rhodolfo. Attempt missed. Oumar Niasse (Lokomotiv Moscow) header from the centre of the box is high and wide to the right. Assisted by Maicón with a cross. Attempt missed. Gökhan Töre (Besiktas) left footed shot from the centre of the box is close, but misses to the right. Second Half begins Lokomotiv Moscow 0, Besiktas 0. First Half ends, Lokomotiv Moscow 0, Besiktas 0. Mario Gomez (Besiktas) wins a free kick in the defensive half. Foul by Vitaliy Denisov (Lokomotiv Moscow). Foul by Atiba Hutchinson (Besiktas). José Sosa (Besiktas) wins a free kick in the attacking half. Delvin N'Dinga (Lokomotiv Moscow) is shown the yellow card for a bad foul. Hand ball by Vitaliy Denisov (Lokomotiv Moscow). Andreas Beck (Besiktas) wins a free kick on the right wing. Foul by Maicón (Lokomotiv Moscow). Hand ball by Aleksandr Samedov (Lokomotiv Moscow). Attempt saved. Oguzhan Ozyakup (Besiktas) right footed shot from outside the box is saved in the bottom left corner. Assisted by Gökhan Töre. Attempt saved. Delvin N'Dinga (Lokomotiv Moscow) right footed shot from outside the box is saved in the top centre of the goal. Assisted by Oumar Niasse. Attempt missed. 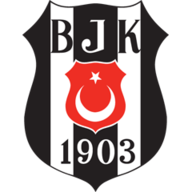 Mario Gomez (Besiktas) header from the centre of the box misses to the right. Assisted by Andreas Beck with a cross. Ricardo Quaresma (Besiktas) wins a free kick on the left wing. Foul by Roman Shishkin (Lokomotiv Moscow). Oguzhan Ozyakup (Besiktas) wins a free kick in the defensive half. Corner, Besiktas. Conceded by Roman Shishkin. Hand ball by Maicón (Lokomotiv Moscow). Foul by Andreas Beck (Besiktas). Oumar Niasse (Lokomotiv Moscow) wins a free kick on the left wing. Foul by José Sosa (Besiktas). José Sosa (Besiktas) wins a free kick in the defensive half. Attempt missed. Mario Gomez (Besiktas) right footed shot from a difficult angle on the right is close, but misses to the right. Ismail Köybasi (Besiktas) wins a free kick in the defensive half. Foul by Aleksandr Samedov (Lokomotiv Moscow). Attempt saved. Ricardo Quaresma (Besiktas) right footed shot from a difficult angle and long range on the left is saved in the bottom left corner. Assisted by José Sosa. Andreas Beck (Besiktas) wins a free kick in the defensive half. Foul by Vedran Corluka (Lokomotiv Moscow). Maicón (Lokomotiv Moscow) wins a free kick in the defensive half. Foul by Gökhan Töre (Besiktas).